I met with the Instructional Technology Working Group today at OSHEAN in North Kingstown. There were Instructional Technology leaders from all around the state. 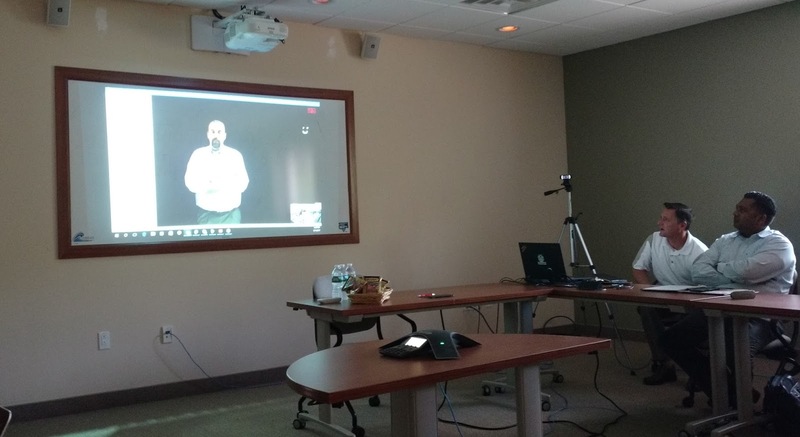 We had some interesting discussion around how faculty were handling flipped classroom learning and curriculum development, utilizing LMS systems, creating engaging content, and enabling teachers to utilize technology to create better content. 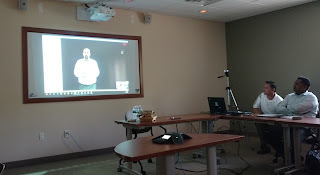 We also had a video conference with Patrick Crispen, EdD who is the Director of Educational Technology for the University of Southern California's (USC) Keck School of Medicine. He gave us a demo of their Light Board technology. It's pretty cool technology, especially for faculty that are more comfortable with the idea of standing in front of a whiteboard to give a lesson. This technology flips things around so the learner is behind the whiteboard. Much more engaging than looking at video of the teacher's back while they write on the board. Professor Crispen has a really cool demo video of the technology on their website.